The pyramids, the mummies, the Sphinx are but a few of the intriguing icons of Egypt. Coastal Bend College Kids College participants will explore the language, geography, art, hieroglyphics, and archeology of Egypt this summer. Kids, six to 12 years old, will discover ancient and current contributions, encryption, mummification, famous Egyptians and other fascinating aspects of the country. They will experience art, music, dance, and literature with an Egyptian theme. All segments of Kids College are led by qualified and creative instructors and supervised by the CBC Customized and Continuing Education Department. Coastal Bend College — Pleasanton Campus is inviting the community to join in celebrating Cinco de Mayo on Thursday, May 5 from 6-8pm. Entertainment will be provided by Ballet Folklorico/Virginia Espinoza and Los Allegres de Alex Flores, and a bouncy castle will be available for children. There is no charge for admission. CBC clubs will be selling food and drinks to raise money for their clubs. CBC Pleasanton is located at 1411 Bensdale Road in Pleasanton. The annual CBC Kingsville Community Appreciation Event is scheduled for April 14, 5:30-7:30 p.m. at Coastal Bend College. This is a family-friendly event and is open to the public. The event includes a live art project and exhibit in the Multipurpose Room (102) and a performance by the H.M. King High School’s Mariachi Del Rey. The Cuveralls, a local band headed by CBC alumnus Paul Rios and his brother Joey Rios, will perform on an outside stage until 7:30 p.m. Student organizations and groups will have games and food sales booths indoors and outside. Paul Rios is not only a graduate of CBC, he is also a current student. He plans to transfer to Texas A&M University – Kingsville next fall. Information about the band is available at www.thecuveralls.com. For more information about CBC Kingsville Community Appreciation Event, call the main office at (361) 592-1615. CBC Kingsville is located at 1814 S. Brahma Boulevard in Kingsville. The 9th Annual Coastal Bend College Dia Del Mariachi™ Vocal and Group Competition, will be held on Saturday, April 16, 2011 at Alice High School, located at 1 Coyote Trail in Alice, Texas. 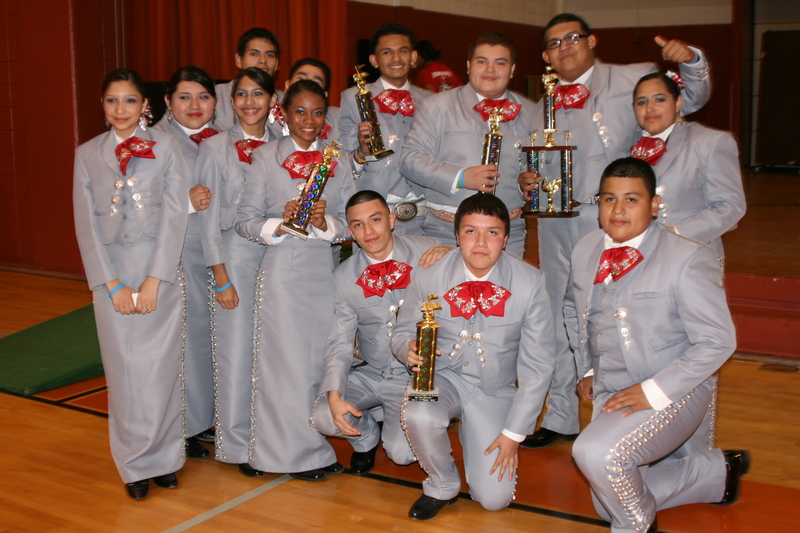 The competition’s best overall elementary, middle and high school vocalists, and the best overall groups from Elementary/Middle School Division I and II, High School Division I and II, Composite Groups, and Two-Year Colleges will be showcased on stage prior to an evening concert featuring Mariachi Campanas de America. The mission of Dia Del Mariachi™ is to strive for Mariachi music excellence; develop young leaders with Hispanic cultural understanding; inspire a spirit of pride and unity in the people and communities of South Texas; and to introduce everyone to Coastal Bend College’s educational opportunities. The event is designed to provide students with college information, fellowship with other young musicians, experience with stage performing, and opportunities to listen to other groups. The competition winners get the once-in-a-lifetimes experience of opening for a professional Mariachi concert. This year, Coastal Bend College will attempt to break the Guinness World Record™ for the world’s largest Mariachi ensemble. The attempt is open to all Mariachi musicians – student or professional — with the following stipulations: (1) participants must proficiently play an instrument, preferably a violin, trumpet, Spanish guitar, Vihuela or Guitarrón; and (2) participants must be in full Mariachi attire including sombrero. Musicians at all levels are invited to participate. For more information about Dia Del Mariachi or the Guinness World Record™ attempt, log on to http://www.coastalbend.edu/diadelmariachi or contact Juan Jose Sanchez at (361) 664-2981 Ext. 3042 or by e-mail: alice2@coastalbend.edu.